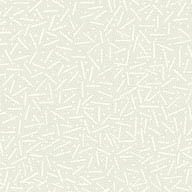 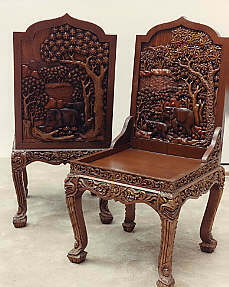 There are 8 Dining Room Chairs. 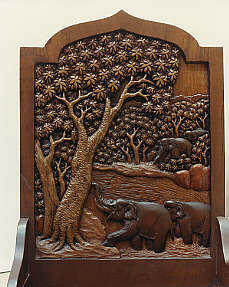 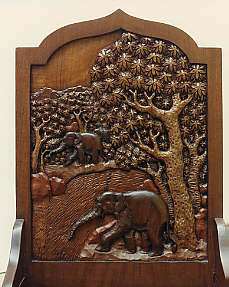 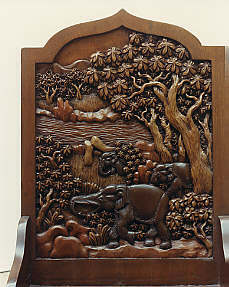 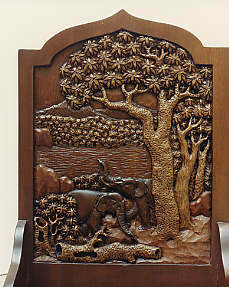 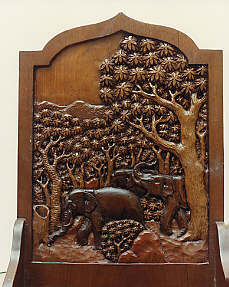 Each chair back is hand carved on both sides. 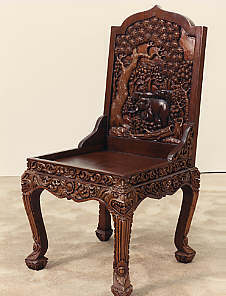 The chairs measure 41.5 inches to the top of the back, The seat (without cushions) is 16.5 inches high, the seat width is 19.5 inches and 19.5 inches deep.